B-1 bomber undergoing tests at Edwards AFB, Southern California. 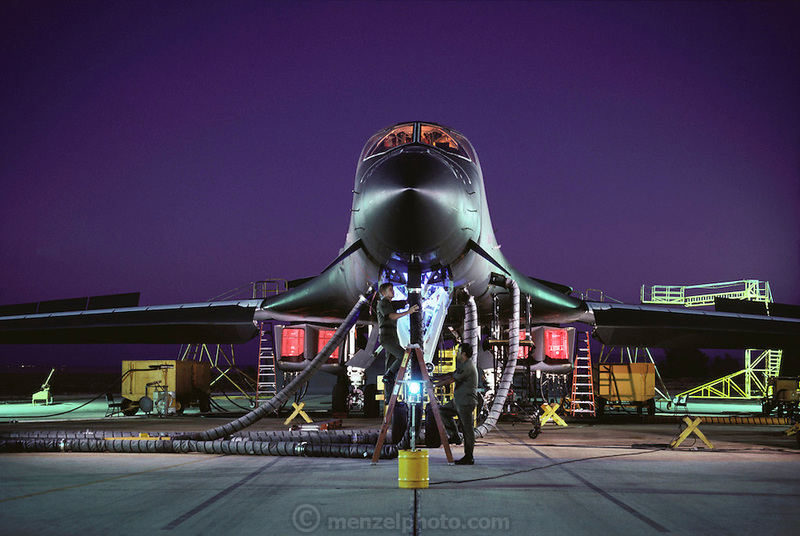 The Boeing (formerly Rockwell) B-1B Lancer is a long-range strategic bomber in service with the United States Air Force (USAF). Together with the B-52 Strato-fortress and the B-2 Spirit, it is the backbone of the United States' long-range bomber force.